Established in 1977, Younes Bros is one of the international, leading and generating unit corporations in Lebanon. Ever since, Younes Bros has been recognized by its missions, visions, values and most of all by its complete dedication to customer satisfaction along either ability to service the local and international market demand, Being an international pioneer was the outcome of having a trend for growth and professionalism, which transported the company from a 70’s family business into a modern and advanced corporation. 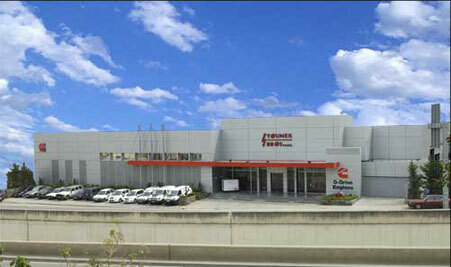 Through a constant development of production capacity, innovation in the product line, management, highly specialized technicians and not to forget assessing the opportunities for improvement, Younes Bros has been able to place itself among one of the most competitive companies in the Middle East and Africa . Younes Bros covers many geographic areas in the world and does the optimum to serve its customers throughout Lebanon, Qatar, KSA, Iraq, Nigeria and many others countries in the world. As Cummins OEM, we provide wide and diverse range of gensets from 10 KVA TO 3000 KVA, Also we offer a various range and types for GE Transportation medium speed generators capacity 1500 KVA TO 5000 KVA since we are the GE Transportation OEM. Our aim is to give our customers the best solutions and supports for the success of their projects.